With Britain tearing its hair out over the Brexit confusion, Scotland’s government is biding its time as it prepares for the ultimate prize – independence. 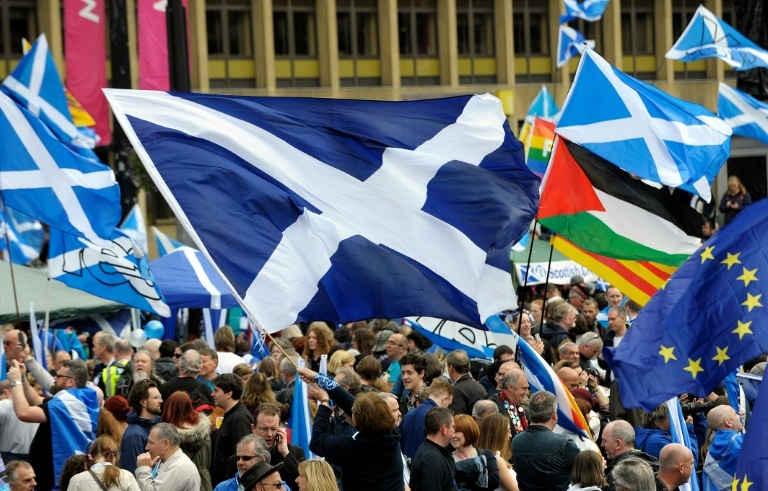 But even independence backers are divided over Brexit – five years on from Scotland’s own referendum in which 55 percent opted to remain a part of Britain. He said he would even consider voting for Nigel Farage‘s new Brexit Party – much to the consternation of companion Lisa. Some pro-E.U. voters who wanted to stay in the United Kingdom in the 2014 referendum are now in favor of independence, but the issue risks pushing away those who want a clean break from both London and Brussels. “All the SNP has to do to keep the independence movement together is to decouple it from membership of the E.U.,” he added. But over 60 percent of Scots voted to stay in the E.U., and some are being won over to the independence cause. “I know quite a lot of people … who voted to stay with the U.K. … who now say because they’re sick of all the Brexit, they’ve changed their minds,” said local resident Mary Cryan amid the hubbub of Edinburgh’s Royal Mile, in the shadow of the city’s centuries-old castle. The shifting blocs have largely canceled themselves out so far, with polling stuck at around 55 percent versus 45 percent in favor of staying in the United Kingdom, according to polling expert John Curtice, from the University of Strathclyde. Independence supporters still face a stiff challenge in winning over more conservative voters, who wanted to stay in both the E.U. and the U.K.
Campaigners must also soon find a united position on a raft of economic issues, including what currency an independent Scotland would adopt. It was billed by Brexiteers as “Independence Day” – until political paralysis prompted a last-ditch delay to Britain’s planned departure from the European Union.